Get Paid to Write – How Much? 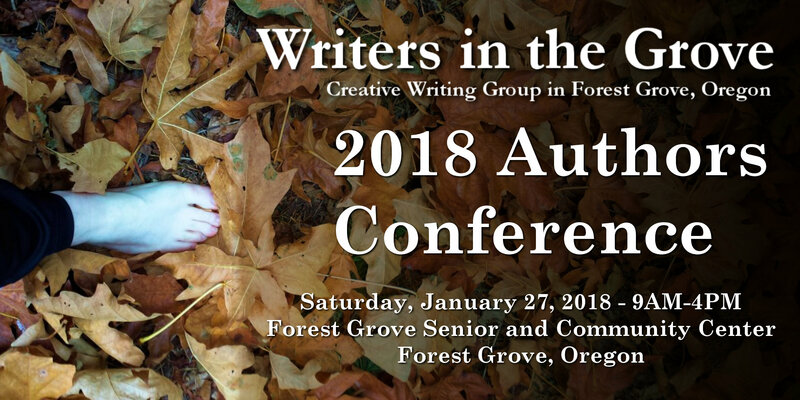 Writers in the Grove members often ask how much money they could make selling their writing. Here is a peek at some of the going rates. Don’t take “no payment but good exposure” as a reason to give your work away. Get paid for your work. You deserve it. Let’s first start with defining the different writing markets. You Wrote It, You Submit It: If you wrote something that others or you may think is worth publishing, send it out there. Check the submission guidelines of the magazines and publications appropriate for the material, and see if they are taking submissions. Send it in according to their submission guidelines. These are also called unsolicited submissions. If accepted, you will be paid their standard rate scale for their publication. Pitch Your Story: Freelance writers review publication guidelines and wish/want lists and read every copy of the publication they can to come up with an idea for them. They pitch the story with a query in accordance with the submission guidelines, but it isn’t written yet. It is written upon acceptance, and paid per their standard rate scale. Hired writing: There are many publications that hire or contract with freelance writers to write for them and pay them on a per word or story scale. These include magazines, newspapers, blogs, ghost writing, ghost blogging, and other forms. These positions are sometimes called copywriters and often includes writing for marketing and advertising as well as filler content. Each of these pay about the same, though some more or less depending upon the publication pay rates and the specialization of the writing and writing topic. Magazines accept writing submissions and queries. Always check the guidelines for submission and if they are taking submissions before sending in your submission or query. These are general pay rates for magazines. Check their submission guidelines and rate sheets for more specific information on each publication. Recently, some writers in our writing group mentioned they are worried about submitting their writing and having that company steal it or use it without their permission. If publications did that they would soon be out of business. However, once your writing is accepted, the copyright might transfer to their publication and agency, or at least the publication rights might be restricted. Read the fine print to ensure your rights are protected and the rights you give away are conscious decisions. There are a variety of writing gigs for freelancers that goes beyond submissions to magazines and journals. This doesn’t mean they ignore that publishing market, they just add to it by submitting queries to publications and businesses, working-for-hire, and contract jobs. The writing market is more diversified, thus the income opportunities wider as well. For those determined to earn a living with their writing, keeping them writing while they are working on fiction or non-fiction work or other work, this is an ideal way to keep your hand in the words and be paid to do so. Each of these titles are found on a variety of job boards, depending upon what the publication or business is looking for. The jobs may last for a few hours, days, weeks, months, or years. You choose which ones interest you and bid or submit for the work. The Adventurous Writer reported on freelance writing pay rates and broke them down into rates for magazine and trade journals and newspapers, giving you a wide range of rates by word and hour, as well as writing jobs like proofreading, copyediting, ghostwriting, and other writing gigs. In general, the writing gigs ranged from 10 cents to $2 a word. Who Pays Writers? is an anonymous, crowd-sourced list of publications for freelance writers and their pay rates. Anyone can submit information about a publication for freelance work and report their rate as well as their experience, giving you an unverified but general idea about these types of writing jobs. Most blogs that pay for guest contributors or freelancers pay between $50-200 a post, typically 400-600 words. At the top dollar rate and max words, that’s $0.33 a word. In general, you can make anywhere from $20-100/hour or charge by the project, with many projects ranging from $250-$1000s. For someone fully dedicated to freelance writing and well-disciplined, the monthly income varies from $1000 to $10,000 a month. Carol from “Make a Living Writing” described the source of her income by client type, a clue as to where to look for profitable writing income that goes beyond just writing for print magazines. In 2011, 23% of her income came from writing for business magazine websites. By targeting companies that pay the higher rates, you can work less for more if your skills are up for the task. If you are considering a freelance career, consider carefully the advice on hourly rates verses day rates by Carol Tice of Make a Living Writing. Also check out the Freelance Hourly Rate Calculator to help you estimate what you should be charging if you are considering freelance writing work. For more information on submitting your work to publications, and becoming a freelance writer and selling your writing, see these resources. Thank you for including my article on “What Editors Want (Attention Freelance Writers) in your suggested resource list. Happy writing! Thank you, and keep up the great work you do for so many. Hi. A very interesting article, and relevant to me as I have had articles published in UK magazines. I wish I could find something similar to your table of magazine pay rates for UK publications! Very useful list of blog sites too, thank you. There are many such listings for UK rates with a simple search. And check with your local and national writing associations. They will have the information as well.